Habit: Neptunia plena grows as a low growing small shrub up to 3 m in height, typically smaller. The leaves are arranged alternately and are bipinnately compound in 2-5 pairs each with 25-40 subleaflets. There is a gland between the lowest pair of leaflets. The thin subleaflets are oblong, up to 1 centimeter in length with an apiculate apex. At the petiole base are two ovate to lanceolate stipules. The slightly zygomorphic, complete, upper perfect and incomplete lower imperfect flowers are arranged in oblong heads. The calyx has 5 greenish, fused sepals. 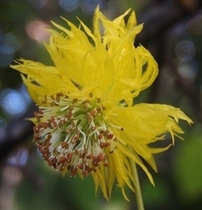 The corolla has 5 yellow crinkly, elongate petals. In the perfect flowers there are 10 stamens and the carpels are superior each with a single locule. In the staminate flowers there are ten functional stamens and no carpel. The fertile anthers are glandular tipped. 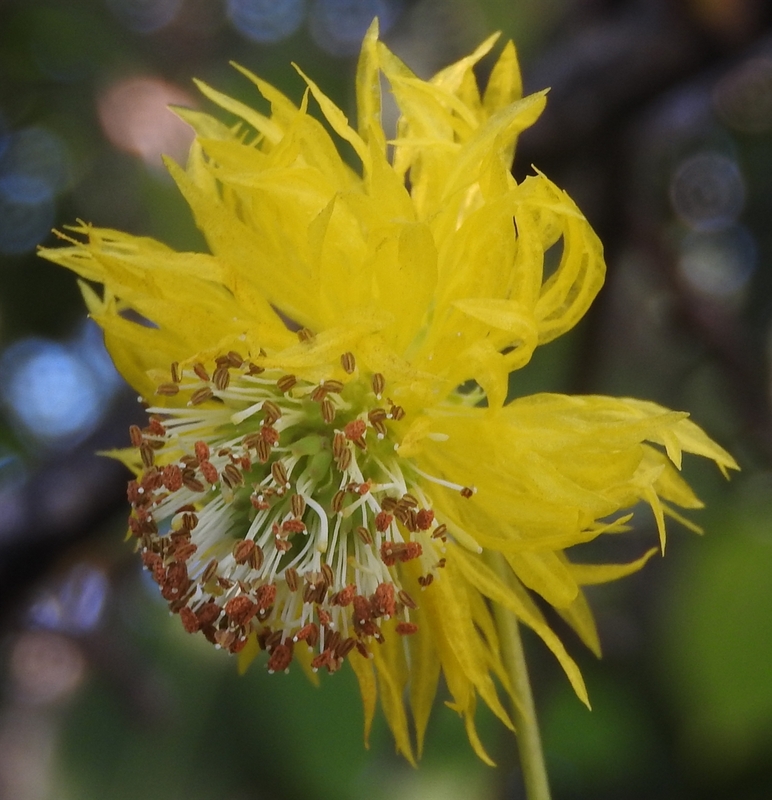 The lowest flowers have neither functional stamens or carpels. The fruit is a brown legume to 5 cm in length with 10-15 seeds that opens along the upper edge. Habitat: Neptunia plena grows at the edge of or in fresh water permanent and ephemeral wetlands. Distribution in Bahamas/Globally: Neptunia plena occurs throughout the Bahamian Archipelago, Caribbean, North, Central, and South America as well as India. Medicinal/Cultural/Economic usage: Neptunia plena is not known to be used medicinally in the Bahamian Archipelago. Neptunia plena is a sensitive plant in that its subleaflets will fold inward when they are touched slightly.